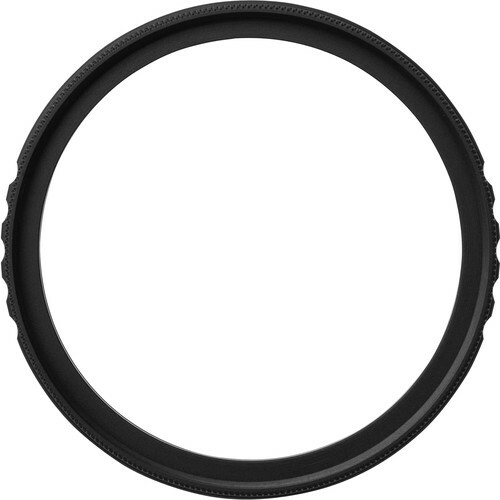 The 49mm Sion UV Filter from Vu Filters is a general use, clear filter designed to absorb ultraviolet light and reduce the bluish cast of daylight. Aside from the reduction of unwanted blue casts, no additional coloration or contrast is created, and adjustments to exposure are not required while using this filter. To prevent internal ghosting and reflections, each glass surface is multi-coated. These coatings offer greater protection to the filter substrate, further enhance its ability to limit UV, and help to ensure color fidelity. The Flat Wave Overcoat associated with this Sion UV filter provides an additional layer over the multi-coatings, resulting in an improved beading effect to repel water for greater cleaning efficiency.